A large medial plantar nerve. 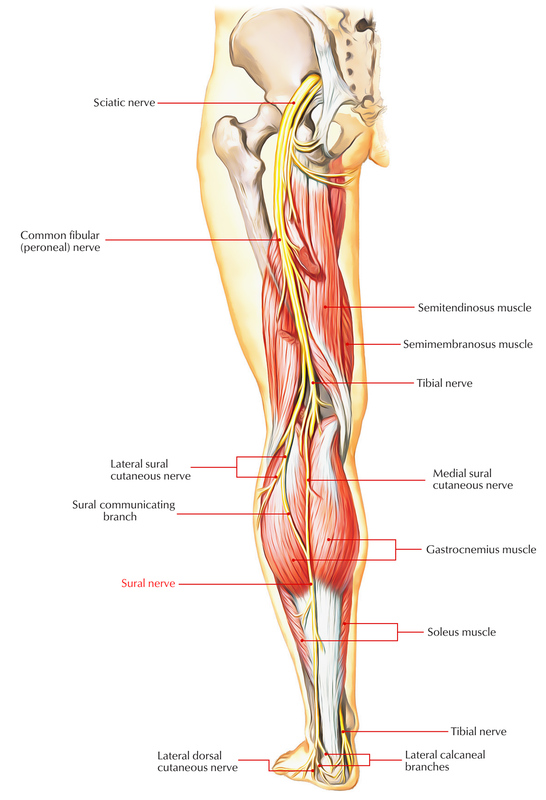 A smaller lateral plantar nerve. 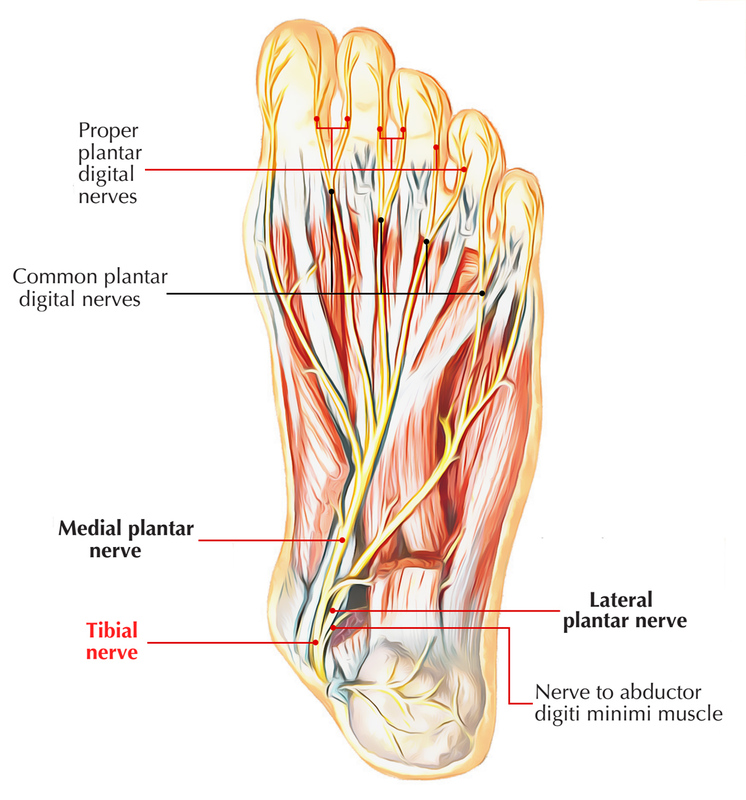 In the sole of the foot, the medial plantar nerve is the main sensory nerve. 1. Skin on large part of the anterior two-thirds of the sole. 2. Surrounding surfaces of the medial three along with one-half toes, which comprises the great toe. 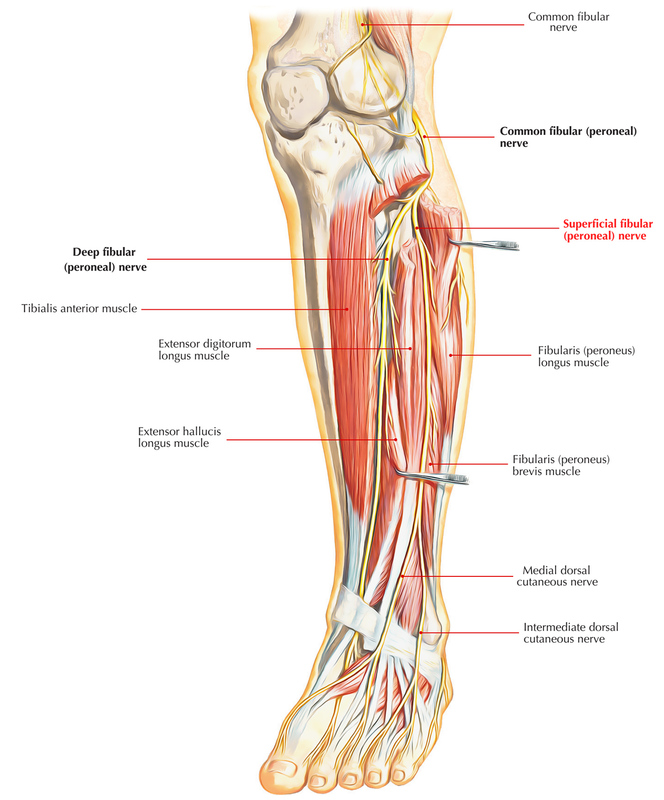 All intrinsic muscles in the sole, except for the muscles supplied by the medial plantar nerve. It also innervates a strip of skin on the lateral side of the anterior two-thirds of the sole. The adjacent plantar surfaces of the lateral one and one-half digits. First two dorsal interossei muscles. Supplies general sensory branches towards the skin on the neighboring dorsal aspects of the first and second toes and also towards the web space among them. Gives sensory innervation to most skin on the dorsal aspect of the foot and toes. With the exception of for skin on neighboring sides of toes I and II (innervated by the deep fibular nerve) and skin on the lateral side of the foot and little toe (innervated by the sural nerve). Skin on the lateral aspect of the foot. Dorsolateral surface of the little toe. 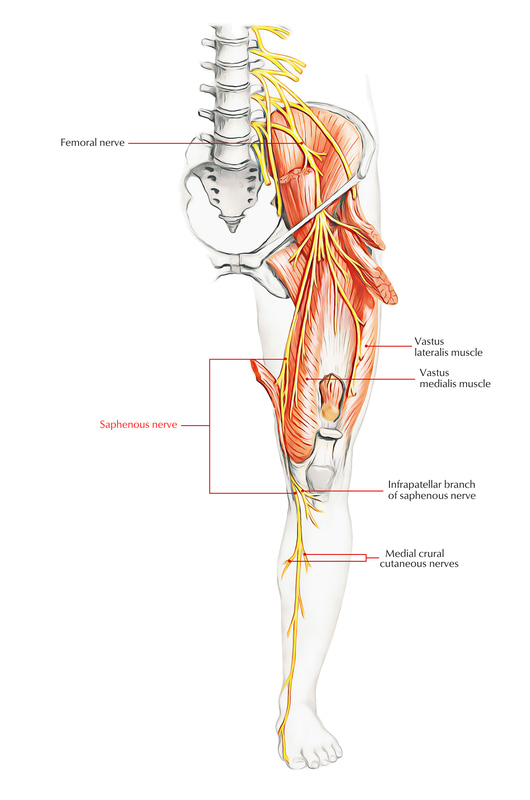 The saphenous nerve is a cutaneous branch of the femoral nerve that originates in the thigh. Terminal branches supply skin on the medial side of the proximal foot and enter the foot in superficial fascia on the medial part of the ankle.